Zelená Hora (a literal English translation is “Green Mountain”) is a small hill near the town of Žďár nad Sázavou in the Vysočina Region. On its own, the hill probably wouldn’t be particularly interesting. 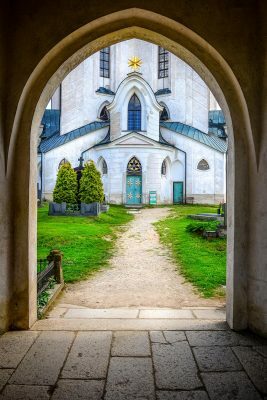 However, it is the location of the Pilgrimage Church of St John of Nepomuk, which was inscribed on UNESCO’s World Heritage List in 1994. 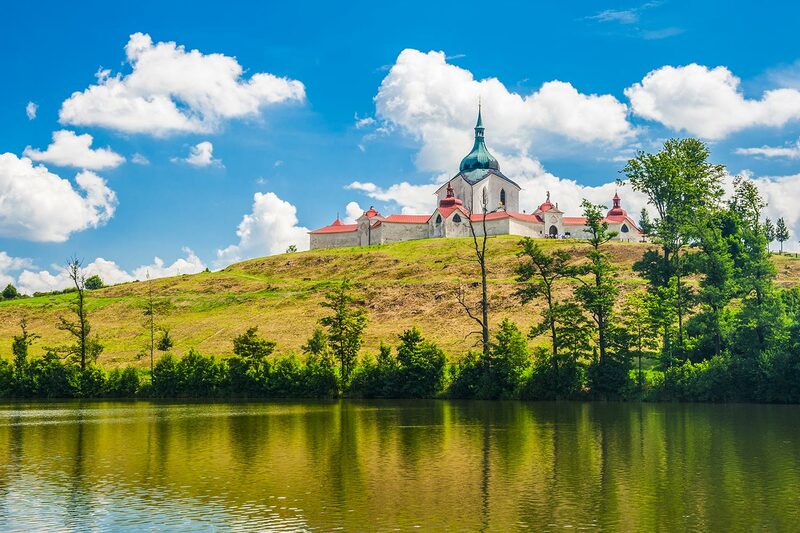 The hill with the church is in Moravia, very close to its historical border with Bohemia. 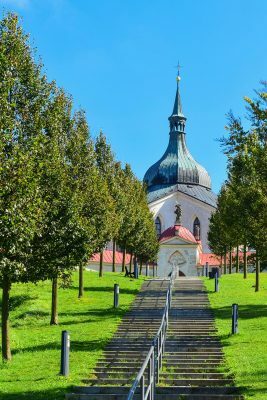 Zelená Hora should not be confused with several other places of the same name all over Czechia. 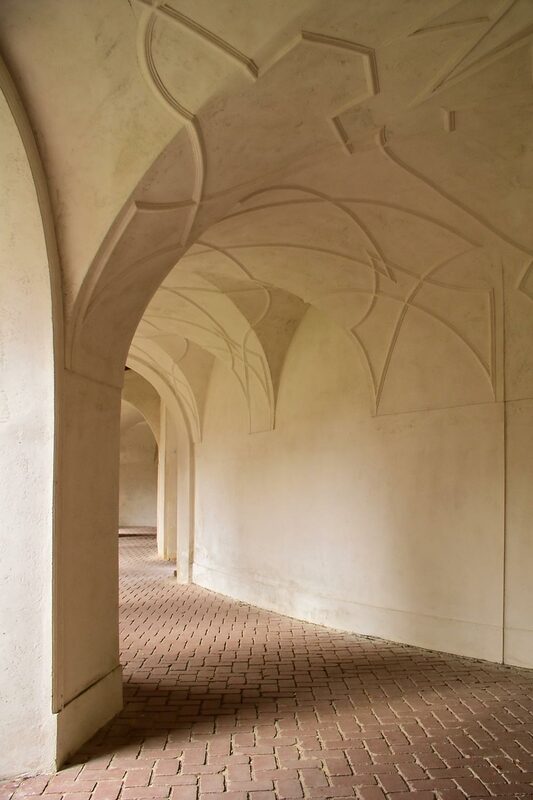 Zelená Hora Chateau near the town of Nepomuk is a completely different place. 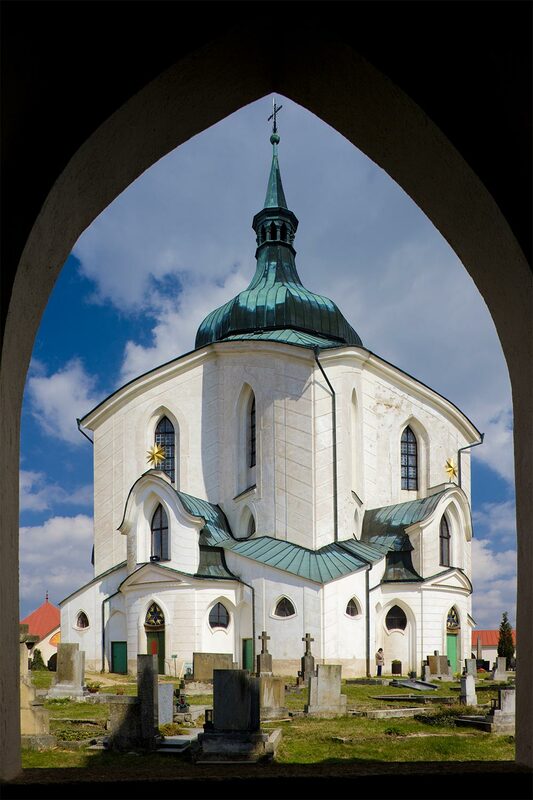 If you want to go the UNESCO World Heritage Site, you must go to the town of Žďár nad Sázavou. The rules of capitalization of proper nouns in Czech are rather complex. If Zelená Hora is a name of a hill or mountain, only the first part is capitalized: Zelená hora. If it is a name of a village or a building, both words are capitalized: Zelená Hora. In this article, both words are capitalized, because the sentences are in English and they should follow English capitalization rules. The Pilgrimage Church of St John of Nepomuk was designed by Jan Blažej Santini Aichel – a Czech architect of Italian descent. The work was completed in 1727. The church is dedicated to, as you might expect, Saint John of Nepomuk. He was a 14th century martyr from Bohemia, beatified in 1721 and canonized by Pope Benedict XIII in 1729. The number five plays an important role in the design of the church. The ground plan of the church is a five-pointed star. There are five entrances, five chapels and five altars in the church. This number is a reference to the five virtues of St John of Nepomuk. The church is Baroque in style, but with many Gothic elements. This fusion of styles is sometimes called Baroque Gothic and Santini is considered its inventor and most important representative. The connection between the Baroque and Gothic traditions, the originality and integrity of the site were the reasons for including the Pilgrimage Church of St John of Nepomuk in the World Heritage List by UNESCO. 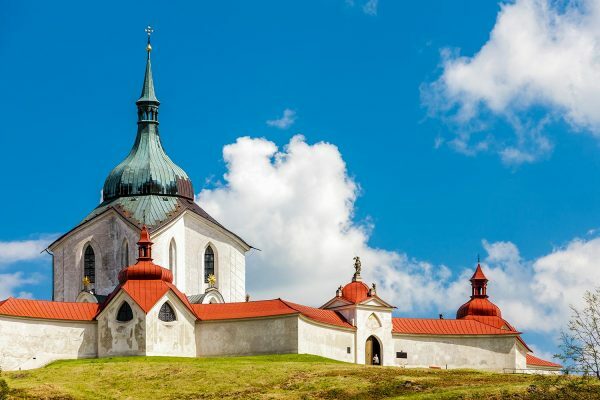 Chronologically, it is the fourth World Heritage Site from Czechia and the second one in Moravia. There are direct trains from Praha hlavní nadráží to Žďár nad Sázavou. A one-way journey takes about 2 hours 30 minutes, which means it is possible to go there and return on the same day, if you’re based in Prague. It is even better, if you’re staying in Brno. The journey by train from the Moravian metropolis should take about 1 hour 15 minutes. Once you arrive in Žďár nad Sázavou, you can walk to the church, but that would be a rather long walk. Local bus lines 1A, 1B, 1C, 2A, 2B, 5 and 6 can bring you closer to the World Heritage Site. You can take a bus and get off at one of the two stops: Bezručova – U pily or Zámek. This will save you some time.